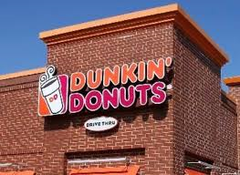 North Cape May – Chief William Mastriana announced that the Lower Township Police Department will be hosting a “Cop Stop” at the North Cape May Dunkin’ Donuts, located at 3704 Bayshore Rd., on February 2, 2019. Patrolman Michael Nuscis will be present at that location from 10 a.m. until 1 p.m. to answer any questions or listen to comments citizens may have concerning the operations of the police department. Literature on various community projects and law enforcement opportunities will also be available at that time. The “Cop Stop” Program is a setting where police officers are available to interact with residents of the community in a relaxed atmosphere. The Lower Township Police L.E.A.D. and community policing vehicle will also be onsite. Business owners who are interested in hosting such an event are encouraged to speak with Patrolman Michael Nuscis, or may contact Lieutenant Donald Vanaman, Jr. at 609-886-1619, ext. 148, to discuss the program.